The Victorian Strawberry Industry Development Committee (VSIDC) have supplied a range of promotional material for greengrocers to hand out to customers in-store. 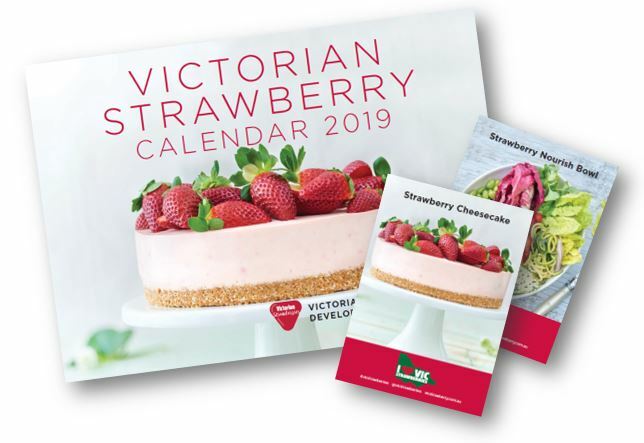 2019 Calendars - The calendars include delicious recipes and feature articles on Victorian strawberry growers. Recipe Cards – A6 cards to be given to customers with two popular recipes. Promotional signage – to be placed in-store to encourage customers to buy and receive calendars. The VSIDC suggests retailers use the calendars as a gift with purchase of Victorian Strawberries throughout the month of November (or until given out). For example: Buy 2 punnets and get a free 2019 Strawberry Calendar. The promotional material can be picked up from the back of the historical truck outside the Customer Service Centre. Due to popularity we ask you limit to one box of calendars and one packet of each recipe card per store. Be sure snap a picture in store of your promotional display and tag @vicstrawberries and use the hashtag #vicstrawberries on your social media accounts! The next information session to learn more about ‘A Better Choice’ will be held on Monday 19th November from 6.00am – 6.20am, level 1, above the Customer Service Centre, Tenancy 80. Click the button below to RSVP your attendance. Come along to learn more about the program and enjoy a coffee on us! The MMA are always looking for ways to promote the Market and add value for our tenants and buyers. 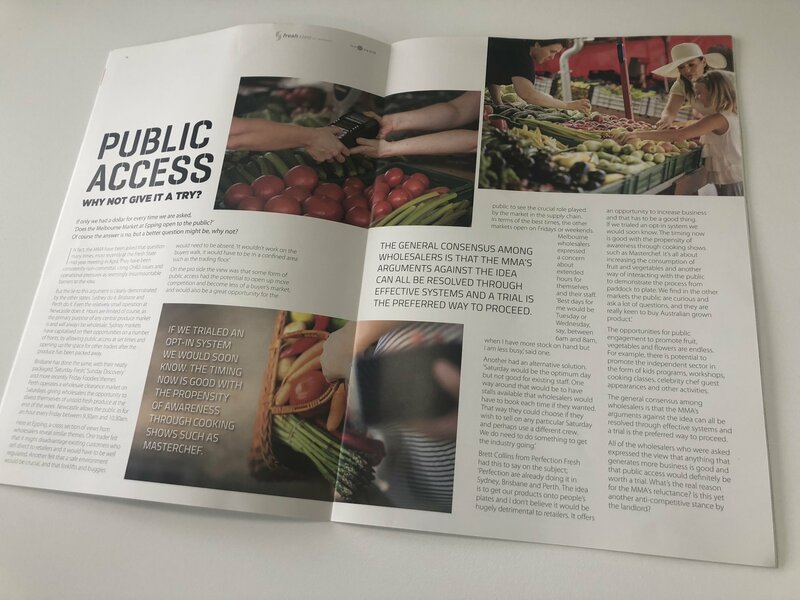 A review of the idea to open the Market to the public had been conducted a number of years ago and found little support, however Fresh State floated the idea again of public access to the Market recently in their magazine (you can read the article here). This prompted the MMA to undertake another consultation with the Market community to re-test support for the idea. Our consultation has concluded that there is insufficient support to progress the public access concept, however the MMA continues to investigate options that engage the greater food network and supply chain in the operations of the Market to the benefit of our buyers and sellers, for example, targeted one-off promotional events and open days. This would give us an opportunity to promote the Market to the wider food industry. The MMA are also funding the ‘A Better Choice’ program in Victoria for its first year – ‘A Better Choice’ is the first national program designed to unite the fruit and vegetable industry and win back customer loyalty by encouraging consumers to shop for fresh produce at their local greengrocer. Heard a Market rumour you’d like to know is true or not? 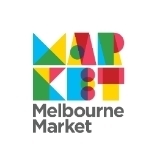 Send an email to rumourfile@melbournemarket.com.au to have your question answered. 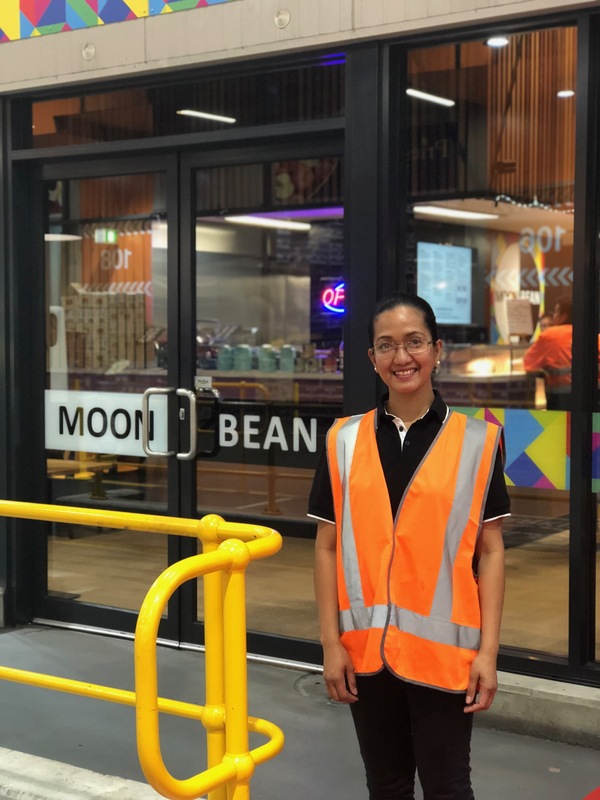 This week we talk to Anna Benito from Moon Bean Cafe which opened at the Market three weeks ago. I’m the co-owner, with my husband Joel, of Moon Bean Cafe, located at store 105. We pride ourselves on high quality food and service. Everything is prepared and made fresh in the cafe daily and all produce is sourced directly from here at the Market. We’re looking forward to doing some exciting new things like theme weeks, featuring different cuisines. Apples for water content, bananas for potassium, and some spinach for energy. On Mother’s Day I sent flowers to my Mum overseas and Joel bought me some flowers. Bungee jumping, bit scary but I want to try it. Meeting new people, and getting to know everyone. I love seeing all the wonderful fruits, vegetable and flowers here too, it’s a great place to work. Moon Bean is located at store 105 and open from 11:00pm – 12:00pm Sunday to Thursday and 12:00am – 8:00am Fridays. Learn what it takes to build innovative and sustainable food production systems and agribusiness in Australia at the Innovation in Food and Agribusiness Forum. As Australia’s early-season cherry harvest gets underway, hopes are high for a record crop. 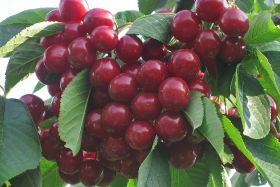 Cherry Growers Australia president Tom Eastlake said all major production regions were cropping well, with growers on track to surpass the 16,000 tonne mark for the first time. Cherry growers in New South Wales and Victoria are optimistic about crop forecasts, and this upcoming 2018/19 season will see mainland cherry growers send fruit directly to China via airfreight for the first time. Government health authorities have issued a new report on how Australians eat, and it’s more or less a stern parental warning to eat more veggies and less junk. Most Australians fall short of targets for the five major food groups: fruit, vegetables, grain foods, meat and meat alternatives, and dairy and dairy alternatives. Australians earned the poorest grade on veggies: the guidelines prescribe five serves a day but almost 100 percent of the population falls short, averaging about three serves. What would happen if the world’s bees disappeared? 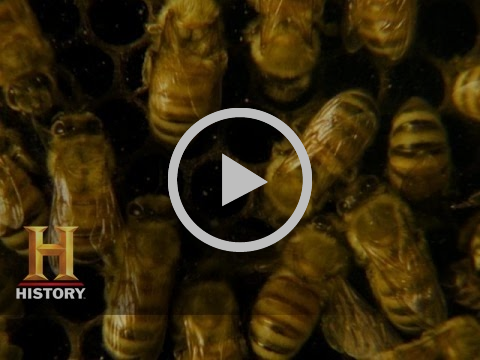 Watch this short video to discover what a world without bees would be like.